It seems like we have a conversation about this particular weekend on the NHL’s schedule on a yearly basis – at least I do. I’ve written about previous all-star snubs, whether changes are needed to the NHL All-Star Game and even went as far as questioning whether the NHL should rid itself of the All-Star Game altogether. But I’m not about to make extreme suggestions again and call the All-Star Game a complete hoax. Instead, I want to question whether the ratings-driven one-player-per-team setup should be brought up as a necessary change to make the event what it once was – an actual All-Star Game. We’ve seen it all – or as much as we need to see. The fan voting was fun – John Scott was voted in and won the All-Star MVP. The three-on-three tournament style isn’t the worst thing we’ve seen when it comes to professional sports and their All-Star Weekends, but what ever happened to just taking the players who are having the best seasons and putting them on teams? Take you’re top 20 scorers at the time of the all-star break and there’s your rosters. You want to keep it based on the league’s conferences? Great. Take the top 10 scorers – or choose a number – from each conference and you’ve got your all-star rosters. Instead, the NHL’s Hockey Operations Department made their picks and named the rosters for this year’s All-Star Weekend. 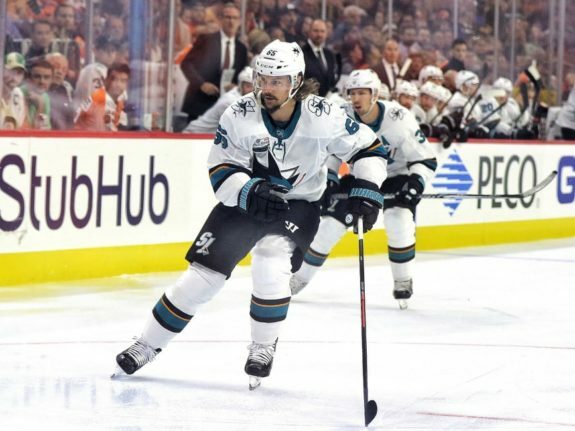 Eight of the NHL’s top 10 in scoring were named to their respective divisional teams, while the host San Jose Sharks locked up three spots on the Pacific Division team – with Joe Pavelski, Erik Karlsson and Brent Burns all getting the nod. So maybe it’s time to forget about the tail on the pucks and focus on giving the honours to the players that are putting their best foot forward in a given season – rather than those who’ve shown consistent performances year after year. After all, it’s not supposed to be a popularity contest, is it? It’s been a ratings ploy of the NHL for some time now that NHL All-Star teams must include one player from every franchise. The idea was that it would create more intrigue and excitement for fans all across the league – fans of every franchise would have a chance to watch one of their own regardless of how their team was doing in the regular season standings. But maybe it’s time to change that. On Hockey Central at Noon, former NHL general manager Brian Burke shared his thoughts on the one-player-per-team setup. “The worst day of the year is when you announce the all-star team because you agonize over it. And then no matter what you do you start to get rocks thrown at you immediately. Every team in the league is calling you. You took the wrong guy or we should have had two or we should have had three. Agents are calling you screaming at you, GMs. Media’s calling you idiots. It’s the worst day of the year for the NHL. They do a really good job. My complaints with it are limited. I’m throwing small rocks today, pebbles if you will. But I do think the one player per team – it made sense when we had markets where hockey was pretty obscure and everything. I don’t think we do. I think our sport has matured in the States. I don’t think we need to have every team represented. The thing is if you have a good team you tend to have clusters of players with high numbers. So Tampa Bay can make the case that they should have four players in this game. Toronto can make a legitimate case that they should have four guys in this game and you can’t argue with that. Burke went on to say that there are players that won’t play in this year’s event that aren’t just having good years, but unbelievable years, and they belong on the ice for the All-Star Game. Of the top 10 scores in the NHL, Marner and Tampa’s Brayden Point are the only two that won’t have their names called out come All-Star Weekend. That’s where my beef is with the NHL. I know I’ll get the comments and, yes, I cover the Maple Leafs. I’ve seen a lot of Marner this season and I stand behind the fact that he’s one of the biggest snubs when it comes to the All-Star Game this season. Forget for a second that he has 55 points in 42 games this season and the fact that he’s first in primary assists. Think about just how exciting it would be to watch this kid dazzle in a three-on-three setting. Add that to the fact that you could put together an all-Maple Leafs line in John Tavares, Auston Matthews and Marner and how exciting would that be for the NHL? But it’s an honour that Marner deserves. After all, who was the last Maple Leafs player to sit seventh in league scoring this late into the season? 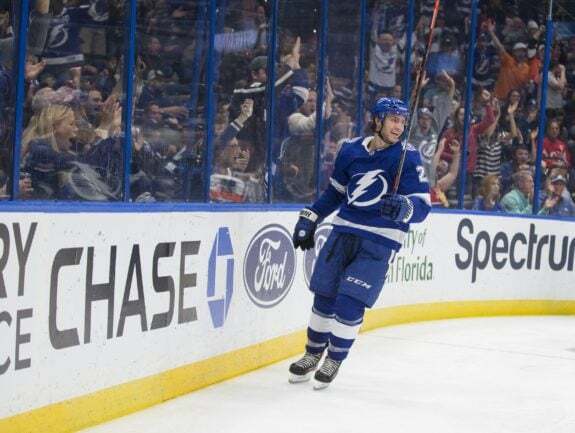 He’s just 14 points back of the overall league leader – Nikita Kucherov – and the Tampa forward has five more power play points than Marner. Not bad. Still, I don’t vote on the rules for the NHL All-Star Game (neither does Matthews), nor the rosters. It’s all about ratings for the revenue-driven decision-makers in the NHL’s head office. And while the game hasn’t quite hit the ratings it had in 2003 and 2004, it is higher over the last couple seasons relative to the previous six all-star games. That said, the 2018 NHL All-Star Game did see a dip of 10% from 2017, but still drew a viewership of 2.0 million, according to Sports Media Watch. Another player that should qualify as a major snub is Tampa Bay’s Point. He sits ninth in NHL scoring with 54 points in 42 games (one behind Marner) and is having a solid year. Unlike Marner, however, Point was put on the NHL’s Last Man In ballot with a chance to be voted in by fans – alongside Marner’s teammate Morgan Rielly. 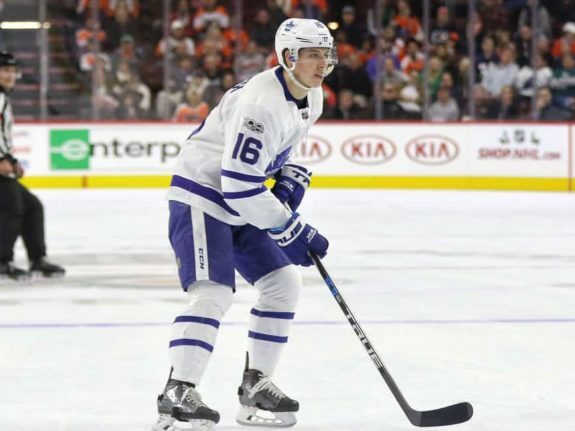 While only one more player can be voted into the game for each division – let’s hope the missed opportunity for the NHL to have some young explosive talent such as Marner and Point will lead to bigger things for the two down the stretch for their respective teams. After all, there will always be more to complain about when it comes to the NHL and its All-Star Weekend.